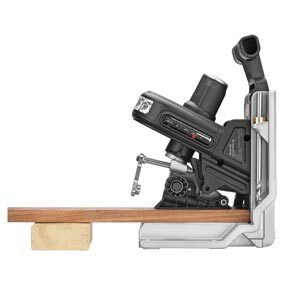 Porter-Cable's 560 QUIKJIG pocket-hole joinery system features automatic gauges that adjust for material thickness, making woodworking jobs more efficient and accurate (view larger). Porter-Cable’s 560 QUIKJIG pocket-hole joinery system is a sturdy and durable bench-top tool solution that makes woodworking jobs more efficient and accurate. 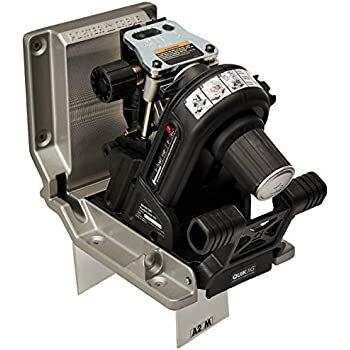 Often more advantageous than plate jointers or biscuits, pocket-hole jointers allow for more flexibility for projects like edge joining, picture framing, or cabinet face framing because pocket-hole joints do not require glue and are capable of being disassembled. 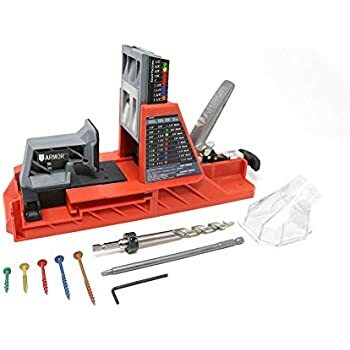 The QUIKJIG’s automatic adjusting depth and thickness gauge assists in setting the drill angle when material is inserted, and a screw-length gauge suggests appropriately sized fasteners for the material thickness at hand. Whether you’re working on wainscoting or building furniture, the QUIKJIG’s user-friendly design and easy setup for precise and repeatable results makes it ideal for any number of woodworking jobs. 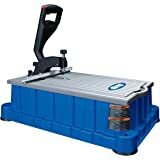 As pocket holes have become an increasingly popular joinery method because of their strength, lack of glue required, and capability of being disassembled, Porter-Cable has developed an intuitive bench-top pocket-hole joinery system in the QUIKJIG. 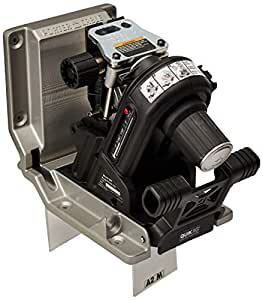 With an exclusive auto-adjusting depth and thickness gauge that eliminates the need to make manual adjustments based on material thickness, the QUIKJIG is efficient and accurate every time. The drilling angle is set when material is placed in the tool; all you need to do is set a width stop, insert and clamp the material, and drill the hole. 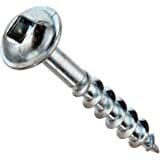 An integrated screw-length gauge even suggests the appropriate length of screw to be used to avoid breakthrough of the piece. Porter-Cable has designed the QUIKJIG to be easily installed and instantly used. 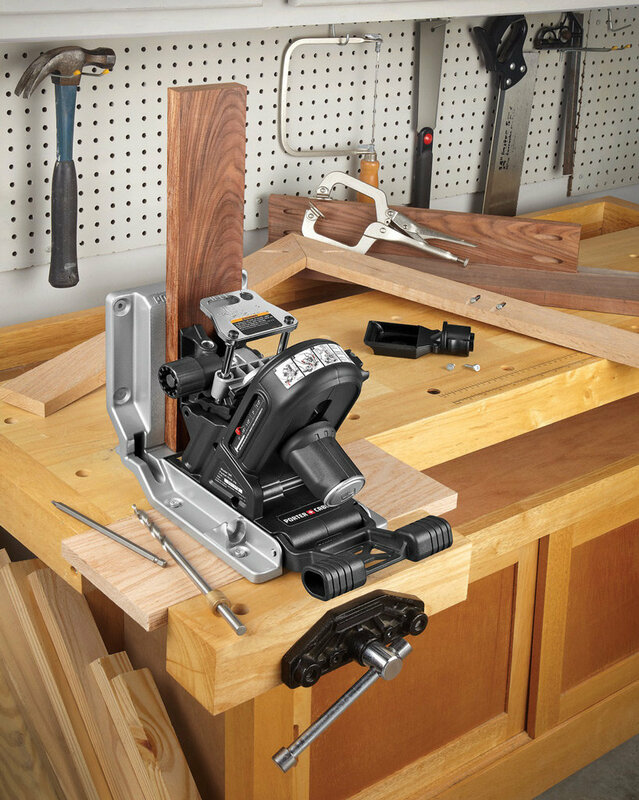 Outfitted with a pre-drilled base, the QUIKJIG can be easily mounted on your workbench or quickly clamped to practically any tabletop. 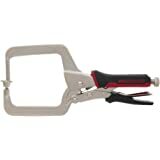 Its all-metal construction reduces deflection during use and maximizes the tool’s durability. The particularly tall casting improves material support for various types and sizes of wood. A 1-1/2-inch-thick base casting is the same height as a 2-inch-by-4-inch board, providing outrigger support for longer material. 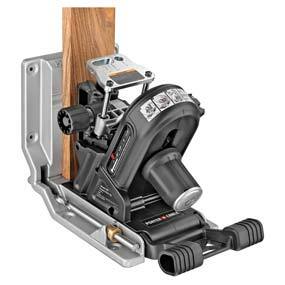 The QUIKJIG’s repeatable clamp handle facilitates fast and consistent clamping, even for wood with varying thickness. 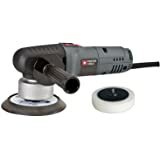 A rear dust collection port that’s compatible with a Porter-Cable dust extractor (sold separately) or a standard vacuum allows for easy cleanup. 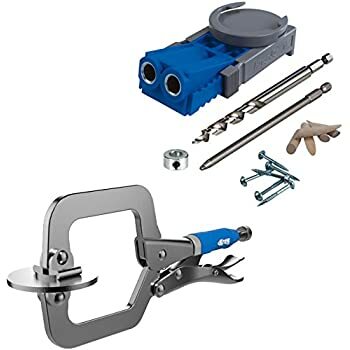 The 560 QUIKJIG pocket-hole joinery system comes with multiple accessories, including square drives, a drill bit, a drill-bit depth collar—all of which can be conveniently stored onboard the QUIKJIG—as well as a clamp, a hex key, and 100 screws. 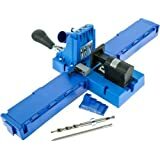 One Porter-Cable 560 QUIKJIG pocket-hole joinery system, including one QUICKJIG, one 6-inch square drive, one 3-inch square drive, one 3/8-inch drill bit, one drill bit collar, one hex key, 20 1-inch screws, 40 1-1/4-inch screws, 40 1-1/2-inch screws, one clamp, and one instructional manual. Porter-Cable's 560 QUIKJIG pocket-hole joinery system has a pre-drilled base for easy mounting on the workbench in your shop (view larger). 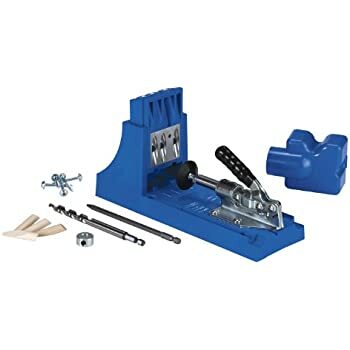 I have a Kreg Foreman, as well as a Kreg K3 jig. 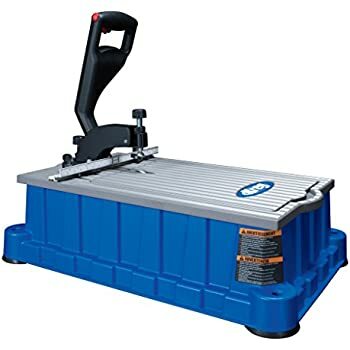 I bought this as both Kreg tools I own require some work to adjust for different wood thicknesses. I bought this after seeing how easy it is to change to a different thickness board. Just twist the dial and slide the Jig down to until it makes contact with the board and you are done. 1. Very fast to adjust to varying thickness of wood. 1. 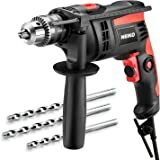 Uses a specialized drill bit -- not compatible with the Kreg Jigs. 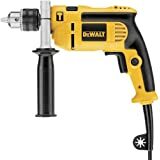 The drill bit that comes with this jig is about twice as long as the Kreg Drill bit. 2. 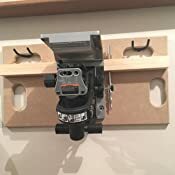 You can only bring material to this jig (You can't really take this jig to a really long board and clamp it to the board...) So, the small Kreg Jigs that clamp in place would still be required. Overall I am happy with this Jig - it is going to replace my Kreg K3 Jig.. In terms of production speed once setup, this and the Kreg K5 are probably more or less equal. I can drill a pocket hole roughly every 7 seconds when the jig is secured in the Jaw-Stand. I also have the Kreg Foreman, and it is significantly faster (hole every 3 seconds. 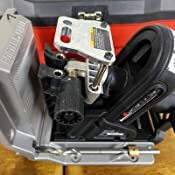 If you are making a lot of cabinets that need pocket screws, the foreman will pay for itself in very short order but it is much bulkier and requires A/C power. 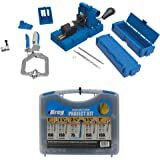 You will need to purchase Porter Cables drill bits for this jig, they are longer then the Kregs. I have not found them in any store local to me so you will need to order them online if you're in the same boat. 5.0 out of 5 starsVery well thought out product! I love this Jig! 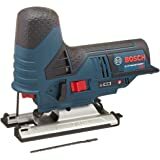 I used the Kreg R3 for a long time but finally decided to get something to make the pocket hole process quicker. 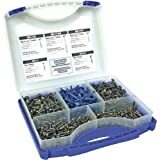 I was mostly considering the Kreg K5 system and then I stumbled upon this one. 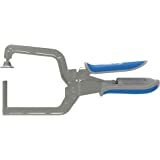 -No screw or ratcheting to switch thickness of stock you are working with. You simply push the round knob down until the guides make contact and turn the knob to lock it in place. 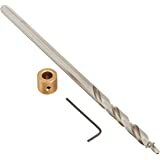 -No changing the lock collar on the drill bit to switch thickness of stock you are working with. The jig automatically stops the bit at the correct depth. -Adjustable distance between the two hole guides. -1-1/2" tall surface for the stock so any 2 by will work as extended supports. 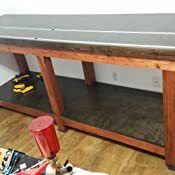 I made a board to mount mine on (see picture), 24" x 12" 3/4" MDF and mounted 2x2s extending off the sides for extra support of longer pieces. 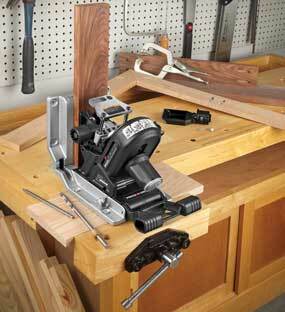 If I need more than that, I can stack a 3/4 and 1-1/2 on my bench and put it where ever I need it. 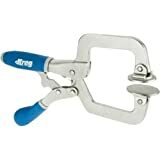 -Those who are familiar with Kreg jigs probably know that 3/4" stock uses 1-1/4" screws and 1-1/2" stock uses 2-1/2" screws. 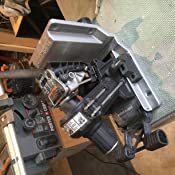 There is a guide on the side of the Porter Cable Quick jig that is supposed to tell you what size screw to use based on what size board you currently have clamped in the jig. I have found that it recommends 1" for 3/4" material and 2" for 1-1/2" material, even though their manual says 1-1/4" and 2-1/2" respectively. I find this annoying but I tested and the longer screws do not go through so I will just use the screws that I know to be correct rather than referring to the guide on the side. I wish there was a way to adjust that guide but I will live with it. 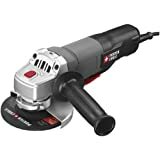 -There is no secure storage for the drill bit, there is a slot on the side where you can set the collar to the correct depth but the bit would end up falling out of there and risk damaging the bit (which is $20 for a new one). No biggie as I drilled a hole for it in the side of the 2x2 that I mentioned above on the mounting board (see picture). All in all, I really like this jig and am glad I went with it over the Kreg. I also really like the mounting board; I cut holes for handles and for hanging on the wall out of the way.